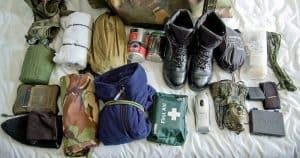 When SHTF and it comes time to “Bug Out,” most of us don’t want to rough in on foot. We prefer the speed and security of our cars, SUVs, and trucks. But Bugging Out by vehicle comes with its own unique complications and factors to consider. Here are some tips for Bugging Out in a vehicle. 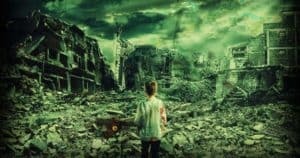 None of us know exactly what will happen when a disaster strikes. We can only look at examples of past disasters (such as Katrina or 911) and use them to make well-informed guesses about how people will react. If history holds true, then we can expect some MASSIVE traffic jams when SHTF. Take Hurricane Rita in Texas in 2005 as an example. It was one of the worst traffic jams in the world and lasted 48 hours. After the hurricane warning, about 2.5 million people tried to flee on Interstate 45, leading to the horrendous traffic jams. By taking some smart actions, you can avoid the traffic jams. But you could still get caught in a massive traffic jam. So be prepared to leave your vehicle and set out on foot or with an alternative form of transportation. Traffic jams aren’t the only reasons you might need to abandon your vehicle. It could break down. It could make you too conspicuous. You might need to take a route not accessible by vehicles… Be ready to leave! One of the advantages of bugging out by vehicle is that you can take a lot more supplies with you. 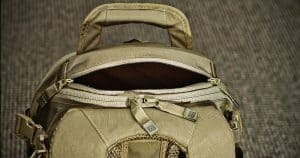 But that doesn’t mean you should pack all of these extra supplies in your Bug Out Bag. Your BOB would become so heavy that you wouldn’t be able to carry them if you had to abandon your vehicle. Always keep the most important gear in your BOB and extras packed separately in the Bug Out vehicle. 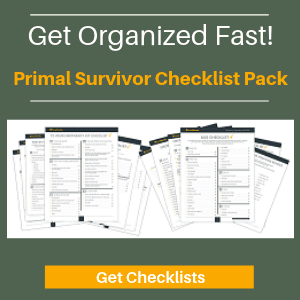 *Here is a complete 3-Day Bug Out Bag Checklist to guide your packing! I have 2 identical Bug Out Bags packed. One is for at home, and the other is kept in my vehicle. If SHTF while I am away from home, I don’t have to lose precious time going back home to get my BOB. This means I am more likely to be the first on the road and beat the massive traffic jams. You Better Be Ready for Repairs! If you plan on bugging out by vehicle, you better know how to perform some basic mechanical tasks. And, you also better have the tools and spare parts ready to carry out those tasks! Keep these packed in your vehicle. I also have an Auto Repair and Maintenance book in my Bug Out Vehicle in case something goes wrong that I don’t know how to fix. In the case of the 48-hour Texas traffic jam before Hurricane Rita hit, everyone scrambled to Interstate 45. The back roads were also congested, but not nearly as badly. People who took these roads fared much better than those who knew no other route than Interstate 45. It isn’t enough to map out the back roads. You actually have to test them. You should know these back roads very well. This knowledge is necessary because back roads could look very different under disaster circumstances. Part of roads might even be wiped out, so you should know the roads well enough to choose the right route depending on the disaster at hand (for example, you wouldn’t want to take back roads through a canyon during heavy rains). There are some cool websites and apps which help you find back roads, such as this site. This is a tip I picked up from a homeless guy in a blog post about the importance of a car cover. He recommends getting a car cover, putting it over your car, and then opening the door just enough for you to slip in under the cover. Then you can sleep in peace without anyone seeing you. If someone were to see you sleeping in the car, you could easily become a target. Of course, a car cover doesn’t protect you completely. Someone might see the covered car and assume that no one is in it, so attempt to break in. However, you at least have the element of surprise in your favor. Since they assume no one is in the car, you can just bang on your horn and you will probably scare them away. A good camouflage vehicle cover will also help you in wilderness bug out situations. I’ve talked about survival communications before, like in this post about types of two-way radios and this post about Ham radios. But these communication devices are only useful if you can access them. Always keep one in your Bug Out Vehicle so you can get critical information about the disaster, evacuations, and blocked roads. 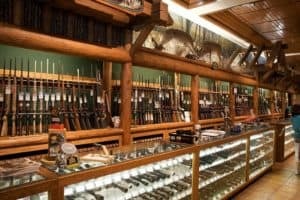 One of the rules for choosing a Bug Out Location is for it never to be more than a full gas tank away. 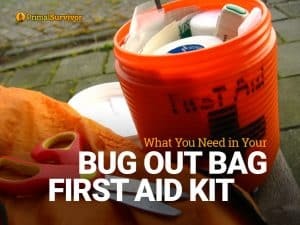 Ideally, the gas tank on your Bug Out Vehicle should always be kept full. This is rather unrealistic though because you aren’t going to fill up after every time you drive it. So, instead, I follow this rule: never let the gas tank go below half full. I also keep a reserve of gasoline ready. You can read about how to stockpile gasoline for disaster preparedness here. Remember that gas cans shouldn’t be transported in your vehicle trunk. The safest way to transport gas cans is on a roof rack or a special rack on the back of your car. Like all other electronic devices, GPS is highly unreliable for emergency navigation. Get yourself an old school map and compass. And then learn how to read the map! The most important tip for bugging out by vehicle is Don’t wait! The moment you get any warning of a disaster, don’t let apathy or fear paralyze you. You must act fast so you can beat the traffic jams and get out before road blocks are put up. The best way to make sure you do this is by coming up with a disaster plan and running drills with your family so you are ready to go when the time comes. 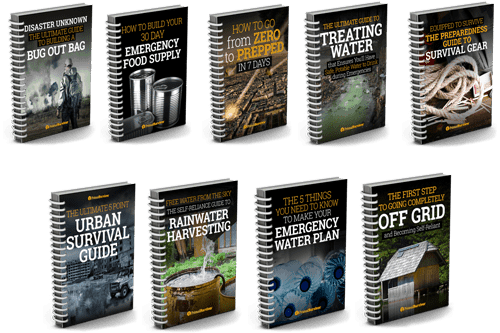 Do you have a vehicle Bug Out plan? What tips can you add? I always keep a fence cutting pliers in my 4WD vehicle. If you get stuck on a state or US Route bordered by fencing, you can often cross the grass borders, cut the fence and get away on parallel local roads that have no traffic. This is great thinking Charles, improvisation is key in these situations.